Starting out as a freelance writer can be confusing and mind-boggling, to say the least. You might be asking yourself, "How do I start"?, "Where do I find jobs"? No worries! I have spent the past 20 years finding the answers to those questions and more and have rolled it all up into a nice neat package just for you! 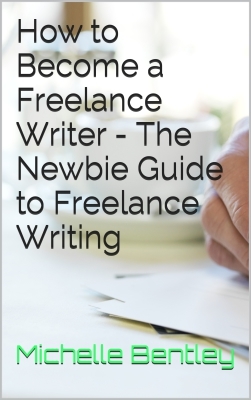 With clickable links to online jobs and resources, How to Become a Freelance Writer - The Newbie Guide to Freelance Writing is your #1 source for all your writing needs, taking your career from start to finish- all for the low price of $.99. Over 100 links to paid jobs, free promotion & marketing, free writer's resources and much more. The Newbie Freelance Writer's Guide to Free Resources is a must have for any freelance writer and compliments ​How to Become a Freelance Writer - The Newbie Guide to Freelance Writing perfectly! For the low price of $.99 you will be on your way to earning money as a freelance writer in no time at all! Looking for more? Check out my FREE articles for freelance writers here . Feeding a family doesn't have to cost an arm and a leg. I was once feeding a family of 6 when I started out as a freelance writer over 20 years ago. It wasn't always easy to put a good meal on the table to feed 4 hungry children, a husband, and myself. I learned how to shop wisely and prepare nutritious meals with these easy, yet delicious recipes handed down from my mother over fifty years ago. Times have changed since then, but feeding a family stays the same. Check out these great recipes and learn how to save time and money while filling hungry tummies. 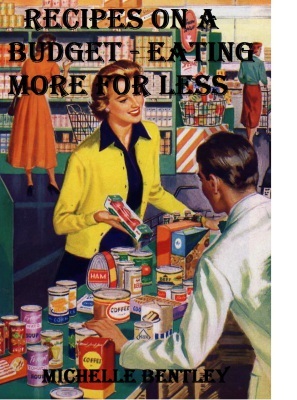 ​Recipes on a Budget - Eating More for Less is just $.99 - a very wise investment. Looking for more ways to save and earn? Not a freelance writer? Check out these FREE articles on how to earn extra money in your spare time. Stay informed when I release my next book or article. Subscribe today. I promise to never share your information or load your inbox with spam!